MK Lettings are a team of dedicated professionals, with a decade of experience in the property industry, striving to bring quality accommodation and an enjoyable living experience at an affordable rent in Milton Keynes and Newport Pagnell. 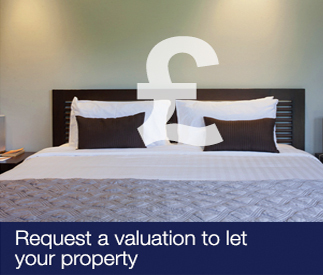 In addiition to our Single let properties, we also offer shared accommodation. The properties (Houses in Multiple Occupation - HMO's) may be modern, traditional, terraced, semi-detached or detached, but all are in good residential locations and refurbished to a high standard to ensure that tenants are comfortable and feel safe. We comply with the relevant national and local council planning and building regulations, and we work closely with both local standards and fire officers to ensure that the properties meet the necessary health, safety, fire and HMO standards. Where required, the properties will be licensed. Tenants have their own, fully furnished, individual rooms and in most houses, share a communal space and kitchen and bathroom facilities, giving them the opportunity to live in quality accommodation with excellent amenities and a social environment, cost effectively. Our properties are in safe, residential locations within easy reach of shops, leisure and entertainment facilities, with excellent public transport links close by. In all shared properties we try to ensure there is a balance between male and female housemates, all of whom are working adults, and we only accept like-mided people who are respectful of others and easy to get on with. We also offer a 'Refer and Friend' scheme whereby ALL tenants can benefit financially by simply referring a friend or colleague who in turn becomes an MK Lettings tenant.